President Moon Jae-in on Thursday stressed the need to get to the bottom of the controversial proposal from the military intelligence unit to invoke martial law, also calling for stepped up efforts to reform the intelligence agency. "The key issue is to reveal the truth about the martial law documents. We must thoroughly identify why (the military) created such documents and how far it was willing to execute the plan," the president said, according to his spokesman Kim Eui-kyeom. "We must thoroughly find those responsible," the president added. Moon's remarks follow a series of disputes between Defense Minister Song Young-moo and the Defense Security Command, which made the controversial proposal for martial law in the wake of protest rallies against then President Park Geun-hye, which started in late 2016. 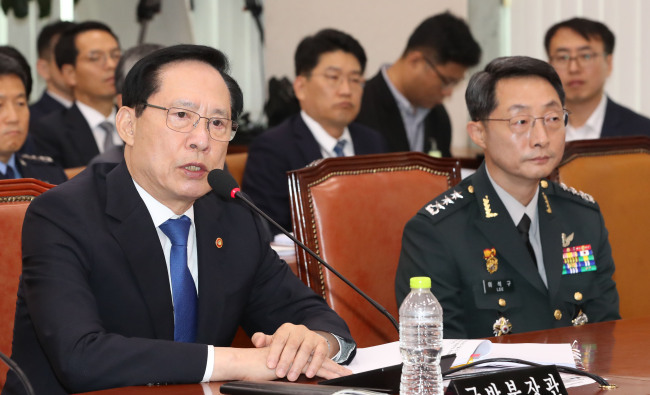 The defense ministry was earlier ordered by the president to submit all related documents after reports suggested the defense minister may have failed to bring to the attention of the government the seriousness of the martial law proposal. 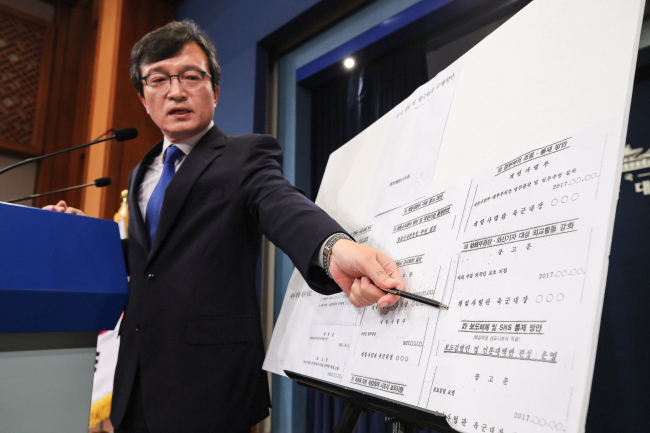 The documents later disclosed by the presidential office Cheong Wa Dae showed the DSC had suggested the military take control of the government, as well as the parliament, by arresting then opposition lawmakers. DSC officials, however, have claimed that Song had determined the documents to be legitimate in what many believe to be a revolt against the ongoing efforts to reform the intelligence unit. 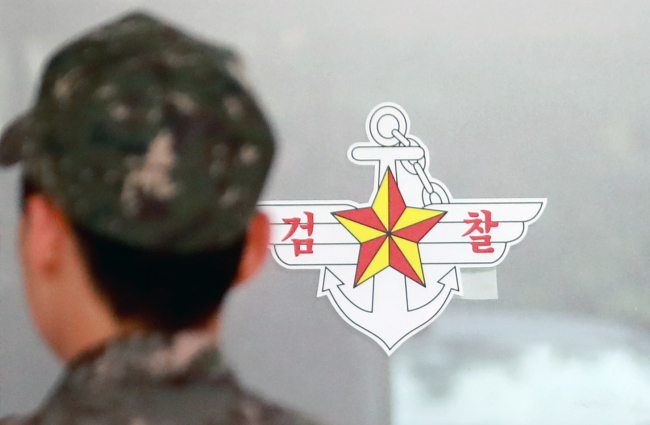 President Moon noted the DSC's apparent revolt against the defense minister may have again highlighted the need to overhaul the military spy unit. "The need to reform the DSC has become greater. I ask the task force on DSC reform to speed up its discussions and submit a reform proposal at an early date," the president was quoted as saying. Still, the president also noted the need to penalize even the highest defense officials, including the minister, should they be found to have mishandled the issue.